Ray Bradbury’s Fahrenheit 451 takes place in a dystopian portrayal of future America where books are banned and any that are found are burned. Technology has taken over the lives of the people to such a degree that human interaction is severely impeded, and the history and memories of the people that came before them are up in smoke. 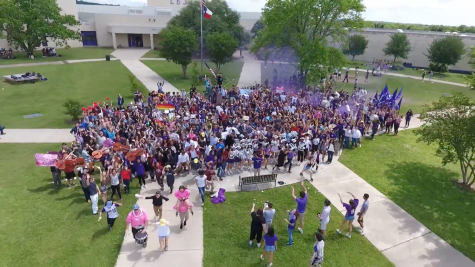 Although nothing that drastic has happened at LASA, SXSWedu panel hosts debated on whether technology should play a key role in education, and if so, to what degree. At SXSWedu there were panels, speeches and labs dedicated to the topic of artificial intelligence and technology in the classroom. Nesta, a U.K. based education charity which hosted a discussion at SXSWedu, released a report in February about the future of artificial intelligence in the classroom. This report, written by Toby Baker and Laurie Smith with Nandra Anissa, explores the potential of AI today, how it can be used in the classroom and how it can affect learning and education. 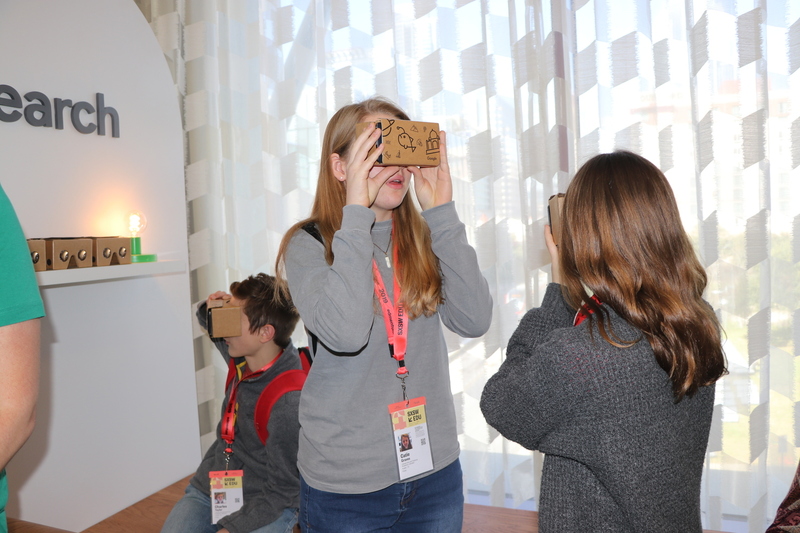 One of the largest interactive exhibits at SXSWedu was the Google Lab, which showcased some of Google’s newest features. Visitors used the Chat Bot, searched images and texts online with the explore feature and tried on the Google Cardboard, a VR device by Google. According to Melissa Horwitz, Google’s Education Marketing Manager, the company’s technology changes the structure of the traditional classroom. A lot of Google’s devices and apps can be used in the classroom for learning and experience. Horwitz said this technology allows students to derive more enjoyment from learning, and helps them stay engaged throughout the day. Besides helping students pay attention during class itself, Horwitz said this different method of learning will benefit students beyond the K-12 space. According to Horwitz, solving problems using the software will affect their ability to address challenges throughout their adult lives. AI technology can also change the social dynamics in the classroom, both between the students and teacher and between the students themselves. Nancy Wilkinson, Nesta Programme Manager, said that AI can help personalize learning for each student, which might mean less collaboration in the classroom. However, Wilkinson also said that personalized learning could make things more efficient. The topic of AI in the classroom will only continue to grow as technology becomes more and more advanced. Smith said AI is a tool that has to be used responsibly and sensibly.